Hamad International Airport (IATA: DOH, ICAO: OTHH) is a major international airport located in Doha, the capital city of Qatar. New Hamad International Airport (NDIA) is situated located about 4 km southeast of downtown Doha. the airport was opened on 30 April 2014. the airport is operated by the Doha Airports Company and is the home base of Qatar airways. 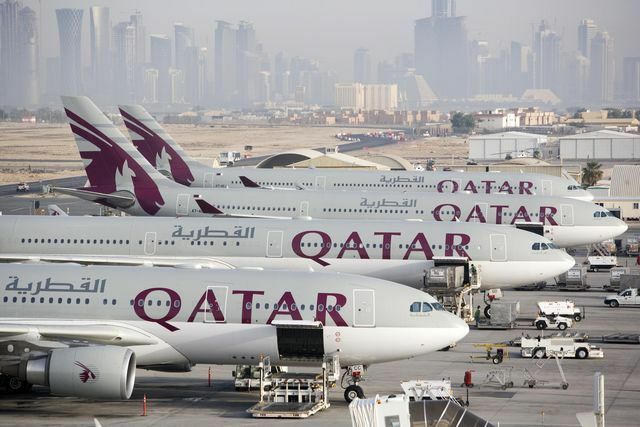 It operates as a main Hub for Qatar Airways, Qatar Airways Cargo, Qatar Executive. It has an annual capacity of 40 million passengers. Over 50 airlines operate out of the airport to over 150 destinations across all six inhabited continents. 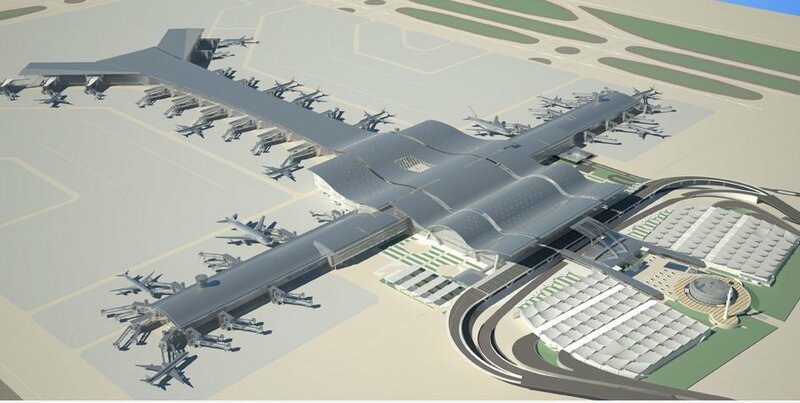 New Doha International airport features has one operating passenger terminals divided in 5 concourses (A-B-C-D-E). - Concourse A: Located west of the check-in area. It has 10 gates, two of them designed for Airbus A380. - Concourse B: Located east of the check-in area. It has 10 gates, two of them designed for Airbus A380. - Concourse C: North of the check-in area. It has 13 gates, two of them also designed for Airbus A380. - Concourse D & E: They are located north of the check-in area, at the end of Concourse C. Both have gates 1-4 on the first floor and gates 20-24 on the ground floor. It’s planned to extend this concourses with a Concourse F.
Doha bus system are public transportation systems available in the Doha Airport. Bus services connect Doha Airport to various destinations across the city. The bus pavilion is located outside terminal to your right. Passengers need a Karwa Smartcard available from the bus driver (24 Limited or 24 Unlimited). Check the Bussection for further information. The Doha taxi is a common way to travel to and from Doha Airport. Taxis Are located in the taxi pavilion, outside the passenger terminal to your left. Only payments with Qatari Riyals are accepted. Starting fare: QAR 25. The car rental service is located at Ground Transportation Centre (GTC), just exit the arrivals hall and walk across the street. Check rental car page on-line for availability. Here's an overview of airport amenities such as Doha Airport WiFi, famiy, pet care, ADA information and more. Bus services : bus pavilion is located outside terminal to your right. It operates 24 hours a day. ADA Information : The Hamad International Airport has dedicated desks for passengers with limited mobility located between Rows A and B of the Departures Hall. There are electric carts for transportation to and from the terminal as well as lounges designated for passengers with special needs. Family/ADA Bathrooms : There is no ADA bathroom information available for this airport. Nurseries : Nurseries are provided as a safe space for mothers to feed and change their young children. Kid Play Areas : Kids play areas are good places for children to stretch their legs. Please supervise your children at all times. Kids play areas are located in Terminal 1, near Gate 12. Pet Care : There is no pet relief area information available for this airport.